Monday - Saturday 7:30 a.m to 6 p.m.
Art's offers whole-fruit smoothies, wraps, coffee, espresso, fresh-squeezed juices and an assortment of healthy grab-and-go snacks and meal bars. 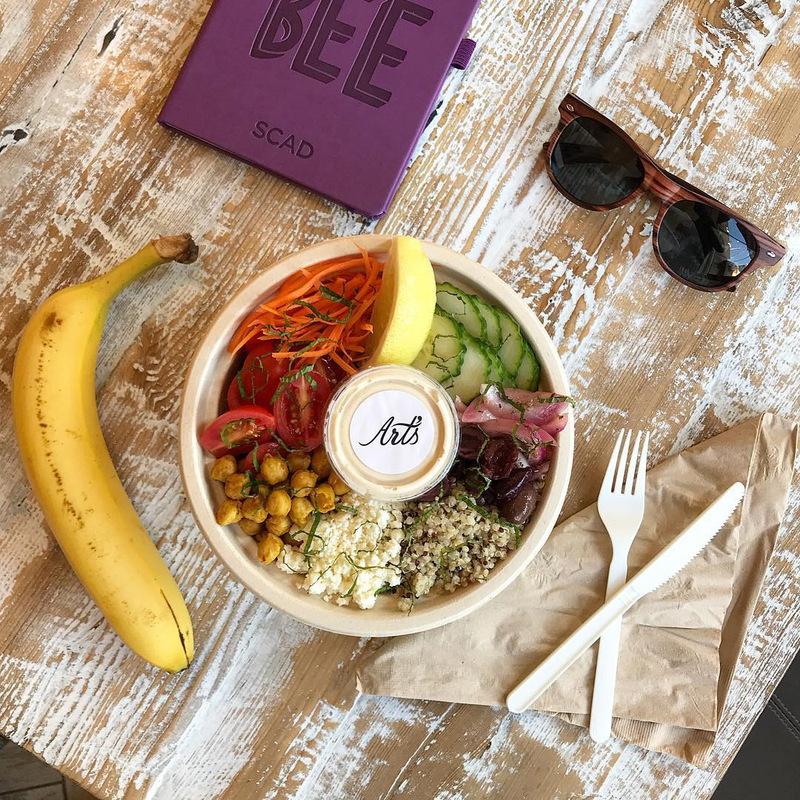 Art's also offers a variety of fun and colorful SCAD-branded apparel, gifts and stationery goods. 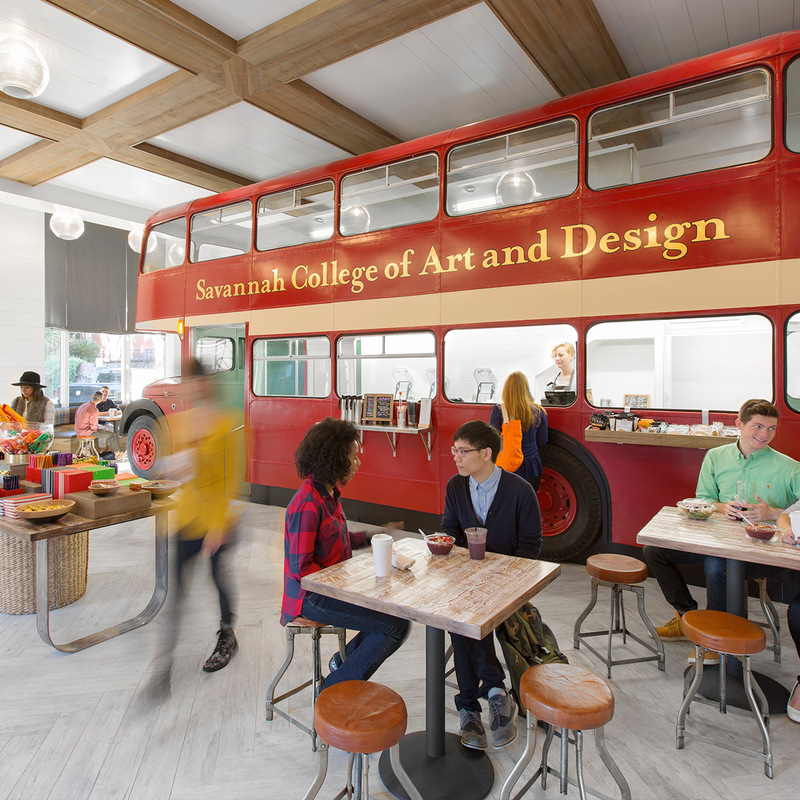 Inside, you'll find an authentic London double-decker bus once used by SCAD for student transportation in Savannah. Art's is located next to the Gryphon in the ornate 1926 Scottish Rite building on enchanting Madison Square.